A series of incredible effects will leave your audience breathless! 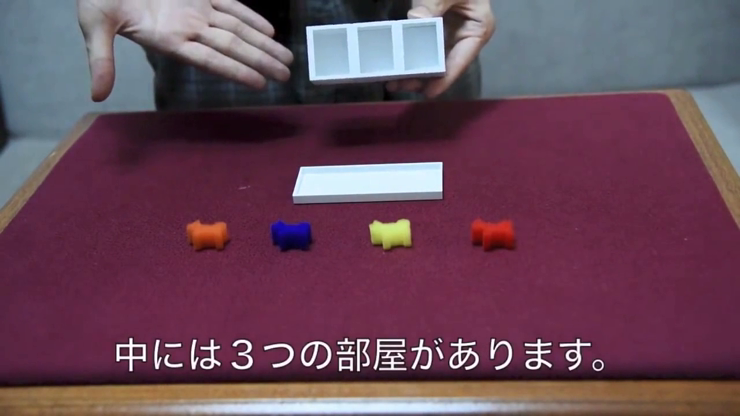 An adorable toy puppy changes color, and magically jumps from place to place while closed up inside a box. These visual effects are made possible by a new and unique mechanism, and are great fun to perform. 1. A spectator chooses one colored puppy from among the colorful sponge puppies. 2. The remaining puppies are inserted into a box containing three compartments. The box's lid is shut tight. 3. When the lid is removed, all of the puppies have magically transformed into the same color as the selected puppy! Additional effects are also possible, including the teleportation of puppy figures from one place to another. I recommend! serious business! Honestly! Quick! Quality Products!